Our First Lady, 'Gruoch Macbeth', Granddaughter of the mighty King Kenneth III, takes control, and leads her own Lord on a merry dance. 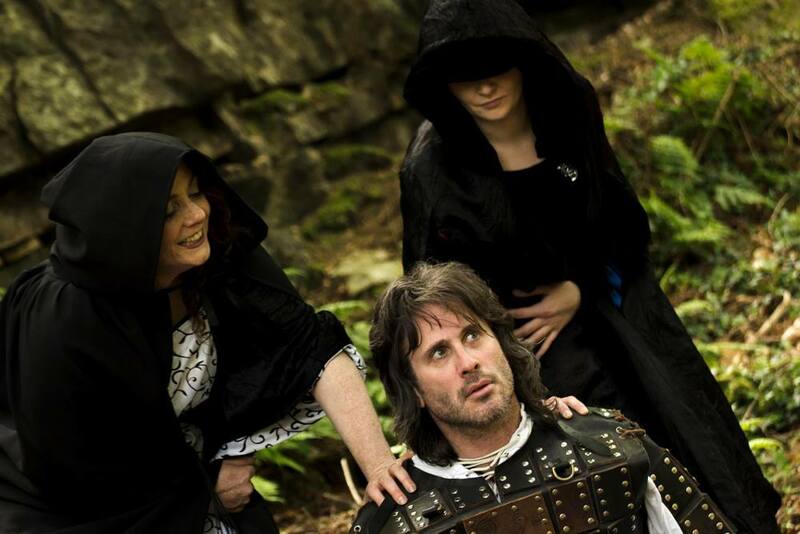 Step back through time into a world of magic, murder, intrigue and monarchy as you walk in the footsteps of the real ‘Red King’, Mormaer Macbeth, Earl of the Province of Moray. A classic tale of duty, passion, ego, and a young girl’s awakening. Night versus day, Heaven versus Earth, and magic runs riot! Come along as our bad Daddy, Prospero, and his truculent teen rescue a group of shipwrecked souls. A Father plans a wedding for his daughter, and love is in the air…or is it? The bride-to-be loves another man, and the best Maid loves the Groom! While Oberon, King of the Faeries, has lost the love of his Queen, mortal and faerie worlds collide, mayhem, magic and fun commence! Join us for a ‘Hen Party’ like no other!